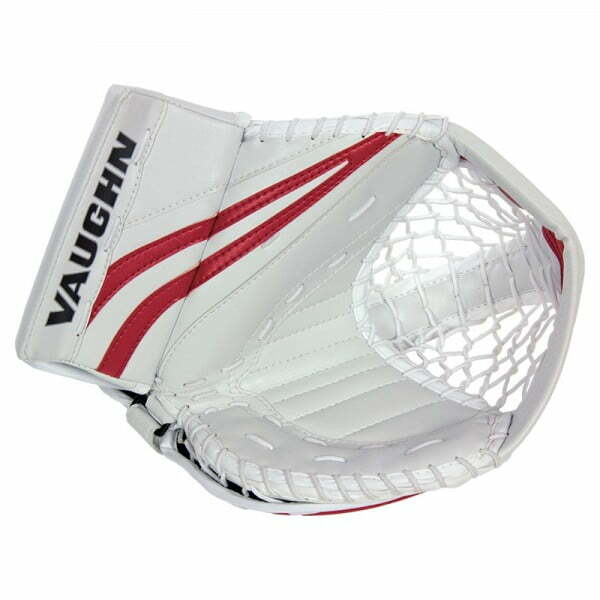 Vaughn Ventus SLR Junior Catcher | Sports Etc. 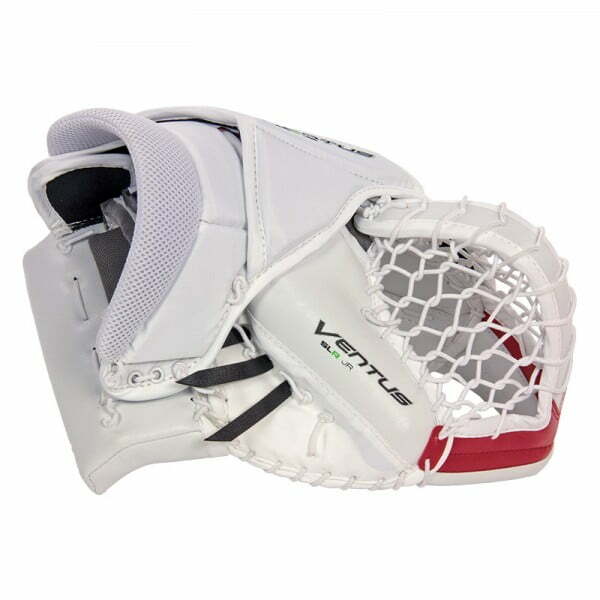 The Ventus SLR Junior sized catch glove features a wide open shape to form a deep pocket for puck control and retention. 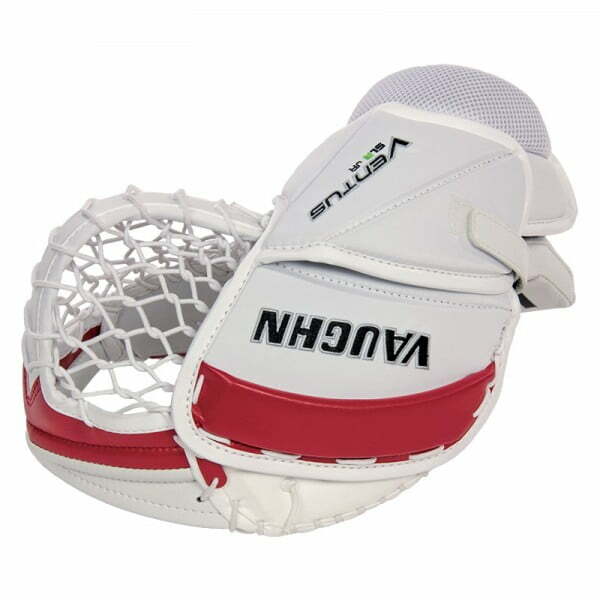 Adjustable back hand strap and wrist strap allow for precise adjustment and security. Extra deep T-web pocket has a reinforced top and skate lace waxed webbing that reduces puck spin for improved puck control and retention.